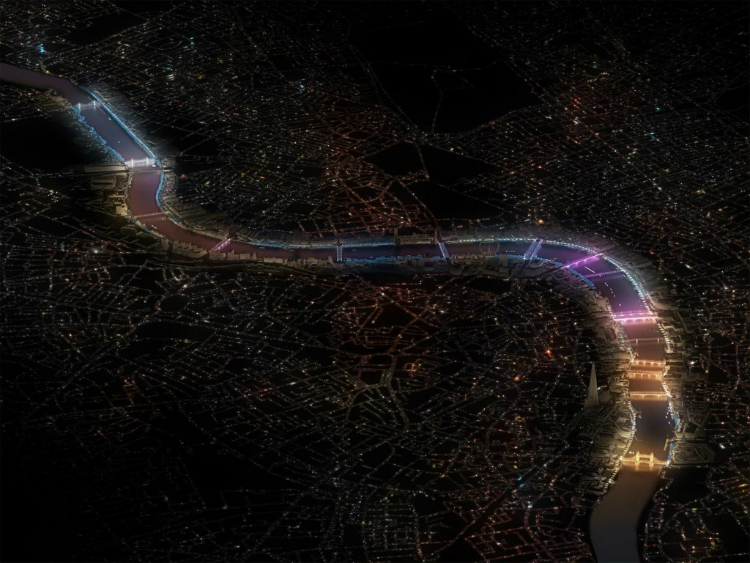 A length of the River Thames, stretching from the world-famous Tower Bridge to the Albert Bridge in Battersea, is set to be permanently lit up by an ambitious new lighting installation that will react in real time to the movements of the public through the city. 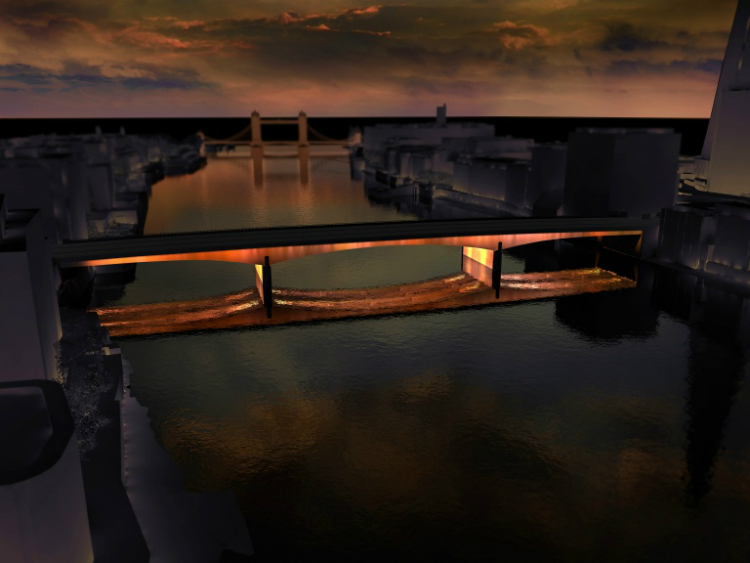 The Illuminated River competition, run by The Illuminated River Foundation and the Mayor of London, saw over 100 entries from British and international architects and lighting designers. The winning entry, from American artist Leo Villareal, British architecture firm Lifschutz Davidson Sandilands, and a number of other contributors, is a highly ambitious offering that will turn the 17 bridges in question into adaptable light sculptures. As people move over the bridges, software will track the foot, car and train traffic and adjust the brightness of the lighting installation accordingly. The end result will be a constantly changing kaleidoscope of colour that mirrors the movements of Londoners. Speaking of the project, Leo Villareal suggested that the adaptable nature of the design was chosen to simultaneously reduce pollution and wasted energy and to incorporate the public into the story of the installation. The team was also careful to be “sensitive to history and ecology”, creating a design that “subtly rebalances the ambient lighting on the river to provide a beautiful night time experience for residents and visitors”. As of yet, there has been no formal announcement regarding the timeframe of the project.